*A refers to the instantaneous coefficient of thermal expansion of Monel 400 with an unit of 10-6in./in./°F. *B refers to the mean coefficient of thermal expansion of Monel 400 with an unit of 10-6in./in./°F. *The tabulated temperature values shall be interpreted as “going from 70°F to the indicated temperature”. 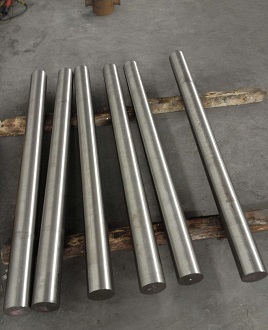 *C refers to the linear thermal expansion of Monel 400 with an unit of in./100 ft.
ASTM B164 UNS N04400, hot rolled bars 50mm x 1.2m, annealed. The tabulated data in above 3 tables are for information and it is not to be implied that Monel 400 materials are suitable for all temperature ranges shown.